"Nondual consciousness", the non-duality of subject and object; this can be found in modern spirituality. The nondualism idea developed in the Vedic, post-Vedic Hindu and the Buddhist traditions. The oldest traces of nondualism in Indian thought is found as Advaita in the Brihadaranyaka Upanishad, as well as other pre-Buddhist Upanishads such as the Chandogya Upanishad. The Buddhist tradition added the teachings of śūnyatā; the two truths doctrine, the nonduality of the absolute and the relative truth, and the Yogachara notion of "mind/thought only" (citta-matra) or "representation-only" (vijñaptimātra). Vijñapti-mātra and the two truths doctrine, coupled with the concept of Buddha-nature, have also been influential concepts in the subsequent development of Mahayana Buddhism, not only in India, but also in China and Tibet, most notably the Chán (Zen) and Dzogchen traditions. In Hinduism, nondualism has more commonly become associated with the Advaita Vedanta tradition of Adi Shankara. The western origins are situated within Western esotericism, especially Swedenborgianism, Unitarianism, Transcendentalism and the idea of religious experience as a valid means of knowledge of a transcendental reality. Universalism and Perennialism are another important strand of thought, as reflected in various strands of modern spirituality, New Age and Neo-Advaita. ... teaches that the multiplicity of the universe is reducible to one essential reality." The main definitions are the nonduality of Atman and Brahman (Advaita), the nonduality of Absolute and relative (Advaya), and nondual consciousness. [note 1][note 2] The idea of nondualism is typically contrasted with dualism, with dualism defined as the view that the universe and the nature of existence consists of two realities, such as the God and the world, or as God and Devil, or as mind and matter, and so on. Advaya of Buddhism and Advaita of Hinduism both refer to nondualism. However, while Hinduism develops its concept of Advaita with an ontological approach, Buddhism develops Advaya through an epistemological approach. The "nondual consciousness" is a western, inclusive understanding of various strands of eastern religiosity. In Madhyamaka Buddhism Advaya refers to the nonduality of conventional and ultimate truth, or the relative (phenomenal) world and the Absolute, such as in samsara and nirvana. In Yogacara, it may also refer to overcoming the dichotomies of cognitum and cognition imposed by conceptual thought. Another Buddhist formulation of the Advaya concept has been as "non-two", which denies extremes such as the existence of reality and the non-existence of reality. In Madhyamaka-Buddhism, "Advaya" refers to the non-duality of conventional and ultimate truth. The ultimate truth is "emptiness", or non-existence of inherently existing "things", and the "emptiness of emptiness": emptiness does not in itself constitute an absolute reality. It is the Middle Way between eternalism ("things" have an inherent essence) and annihilationism or nihilism (nothing exists). [note 4] According to Murti, Advaya is that knowledge which is free of distinctions, such as "is" and "is not" extremes. In Madhyamaka-Buddhism, "Advaya" is an epistemological approach. It is the recognition that ultimately everything is impermanent (anicca) and devoid of "self" or "essence" (anatta), and that this emptiness does not constitute an "absolute" reality in itself. [note 5]. In Chinese Buddhism the Two truths doctrine was interpreted as an ontological teaching of three truths, states Whalen Lai, wherein "samsaric being and nirvanic emptiness as well any and all distinctions are not two". The Chinese Buddhist scholars posited that there is a third truth above the mundane truth of samsaric being and the highest truth nirvanic emptiness (sunyata). In one description, everything is posited to be simultaneously "empty, real and neither". According to Lai, most scholars of Chinese Buddhism, unlike Nagarjuna, failed to realize that the two truths were epistemic, not ontological. This mistake was identified and discussed by Jizang of Sanlun school. The concept of adyava in Yogacara is an epistemological stance on the nature of knowledge. Early Buddhism schools such as Sarvastivada and Sautrāntika, that thrived through the early centuries of the common era, postulated a dualism, dvaya, wherein grasping (grahaka, "cognition") and the grasped (gradya, "cognitum") both are really existing. Yogacara postulates an advaya of grasping and the grasped, stating that only the mind (citta-mātra) or the representations we cognize (vijñapti-mātra),[note 6] really exist. In Yogacara-thought, cognition is a modification of the base-consciousness, alaya-vijnana. By the reification of these modifications into separate consciousnesses, the Eighth Consciousnesses of Yogacara came into existence. In later Buddhist thought, which took an idealistic turn, the storehouse-consciousness or base-consciousness came to be seen as a pure consciousness, from which everything arises. According to the Lankavatara Sutra and the schools of Chan/Zen Buddhism, the alaya-vijnana is identical with the tathagata-garbha[note 7], and is fundamentally pure. Vijñapti-mātra, coupled with Buddha-nature or tathagatagarba, has been an influential concept in the subsequent development of Mahayana Buddhism, not only in India, but also in China and Tibet, most notable in the Chán (Zen) and Dzogchen traditions. The Hindu concept of Advaita refers to the idea that all of the universe is one essential reality, and that all facets and aspects of the universe is ultimately an expression or appearance of that one reality. This idea appears in different shades in various schools of Hinduism such as in Advaita Vedanta, Vishishtadvaita Vedanta (Vaishnavism), Suddhadvaita Vedanta (Vaishnavism), Shaivism and Shaktism. It implies, in Advaita Vedanta of Adi Shankara, that all of the reality is Brahman, and that the Atman (soul, self) and Brahman (ultimate unchanging reality) are one. Advaita ideas of schools within Hinduism contrasts with its Dvaita schools such as of Madhvacharya who stated that the experienced reality and God are two (dual) and distinct. Advaita, states Murti, is the knowledge of Brahman and self-consciousness (Vijnana) without differences. The goal of Vedanta is to know the "truly real" and thus become one with it. According to Advaita Vedanta, Brahman is the highest Reality, The universe, according to Advaita philosophy, does not simply come from Brahman, it is Brahman. Brahman is the single binding unity behind the diversity in all that exists in the universe. Brahman is also that which is the cause of all changes. Brahman is the "creative principle which lies realized in the whole world". The nondualism of Advaita, relies on the Hindu concept of Ātman which is a Sanskrit word that means "real self" of the individual, "essence",[web 3] and soul. Ātman is the first principle, the true self of an individual beyond identification with phenomena, the essence of an individual. Atman is the Universal Principle, one eternal undifferentiated self-luminous consciousness, asserts Advaita Vedanta school of Hinduism. Advaita Vedanta philosophy considers Atman as self-existent awareness, limitless, non-dual and same as Brahman. Advaita school asserts that there is "soul, self" within each living entity which is fully identical with Brahman. This identity holds that there is One Soul that connects and exists in all living beings, regardless of their shapes or forms, there is no distinction, no superior, no inferior, no separate devotee soul (Atman), no separate God soul (Brahman). The Oneness unifies all beings, there is the divine in every being, and that all existence is a single Reality, state the Advaita Vedantins. The nondualism concept of Advaita Vedanta asserts that each soul is non-different from the infinite Brahman. The idea of a "nondual consciousness" has gained attraction and popularity in western spirituality and New Age-thinking. It is recognized in the Asian traditions, but also in western and Mediterranean religious traditions, and in western philosophy. "Advaita" (अद्वैत) is from Sanskrit roots a, not; dvaita, dual, is usually translated as "nondualism", "nonduality" and "nondual". The term "nondualism" and the term "advaita" from which it originates are polyvalent terms. The English word's origin is the Latin duo meaning "two" prefixed with "non-" meaning "not". "Advaya" (अद्वय) is also a Sanskrit word that means "identity, unique, not two, without a second". An ocean is that one seer, without any duality [Advaita]; this is the Brahma-world, O King. Thus did Yajnavalkya teach him. This is his highest goal, this is his highest success, this is his highest world, this is his highest bliss. All other creatures live on a small portion of that bliss. The English term "nondual" was also informed by early translations of the Upanishads in Western languages other than English from 1775. These terms have entered the English language from literal English renderings of "advaita" subsequent to the first wave of English translations of the Upanishads. These translations commenced with the work of Müller (1823–1900), in the monumental Sacred Books of the East (1879). Max Müller rendered "advaita" as "Monism", as have many recent scholars. However, some scholars state that "advaita" is not really monism. The Advaya concept refers to the "non-two" understanding of reality. It has its origins in Madhyamaka-thought, which is built on earlier Buddhist thought, and expressed in the two truths doctrine. 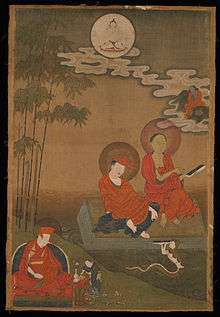 In Nagarjuna's interpretation it is the non-duality of conventional and ultimate truth, or the overcoming of dichotomies such as that between samsara (conditioned or relative reality, rebirth) and nirvana (unconditioned and absolute reality, liberation). This idea was further developed and re-interpreted in Chinese Buddhism, where the two truths doctrine came to refer to the nonduality of nirvana and samsara, re-incorporating essentialist notions. The distinction between the two truths (satyadvayavibhāga) was fully expressed by the Madhyamaka-school. Madhyamaka, also known as Śūnyavāda, refers primarily to a Mahāyāna Buddhist school of philosophy founded by Nāgārjuna. "Emptiness" is a consequence of pratītyasamutpāda (dependent arising), the teaching that no dharma ("thing") has an existence of its own, but always comes into existence in dependence on other dharmas. According to Madhyamaka all phenomena are empty of "substance" or "essence" (Sanskrit: svabhāva) because they are dependently co-arisen. Likewise it is because they are dependently co-arisen that they have no intrinsic, independent reality of their own. Madhyamaka also rejects the existence of an absolute reality or Self. Ultimately, "absolute reality" is not an absolute, or the non-duality of a personal self and an absolute Self, but the deconstruction of such reifications. The later Madhyamikas, states Yuichi Kajiyama, developed the Advaya definition as a means to Nirvikalpa-Samadhi by suggesting that "things arise neither from their own selves nor from other things, and that when subject and object are unreal, the mind, being not different, cannot be true either; thereby one must abandon attachment to cognition of nonduality as well, and understand the lack of intrinsic nature of everything". Thus, the Buddhist nondualism or Advaya concept became a means to realizing absolute emptiness. Yogācāra (Sanskrit; literally: "yoga practice"; "one whose practice is yoga") is an influential school of Buddhist philosophy and psychology emphasizing phenomenology and (some argue) ontology through the interior lens of meditative and yogic practices. It developed within Indian Mahāyāna Buddhism in about the 4th century CE. 3. That the individual beings are but illusory appearances of a monistic reality. Vijñapti-mātra, "consciousness-only" or "representation-only" is one of the main features of Yogācāra philosophy. It is often used interchangeably with the term citta-mātra, but they have different meanings. The standard translation of both terms is "consciousness-only" or "mind-only." Several modern researchers object to this translation, and the accompanying label of "absolute idealism" or "idealistic monism". A better translation for vijñapti-mātra is representation-only. [T]he phrase vijñaptimātratā-vāda means a theory which says that the world as it appears to the unenlightened ones is mere representation of consciousness. Therefore, any attempt to interpret vijñaptimātratā-vāda as idealism would be a gross misunderstanding of it. [T]he absolute state is defined simply as emptiness, namely the emptiness of subject–object distinction. Once thus defined as emptiness (sunyata), it receives a number of synonyms, none of which betray idealism. Parikalpita (literally, "fully conceptualized"): "imaginary nature", wherein things are incorrectly comprehended based on conceptual construction, through attachment and erroneous discrimination. Paratantra (literally, "other dependent"): "dependent nature", by which the correct understanding of the dependently originated nature of things is understood. Pariniṣpanna (literally, "fully accomplished"): "absolute nature", through which one comprehends things as they are in themselves, uninfluenced by any conceptualization at all. Also, regarding perception, the Yogācārins emphasized that our everyday understanding of the existence of external objects is problematic, since in order to perceive any object (and thus, for all practical purposes, for the object to "exist"), there must be a sensory organ as well as a correlative type of consciousness to allow the process of cognition to occur. Vijñapti-mātra and the two truths doctrine, as understood in Chinese Buddhism, are closely linked to Buddha-nature. Those teachings have had a profound influence on Mahayana Buddhism, not only in India, but also in China and Tibet, most notably the Chán (Zen) and Dzogchen traditions. They may be related to an archaic form of Buddhism which is close to Brahmanical beliefs, elements of which are preserved in the Nikayas, and survived in the Mahayana tradition. Contrary to popular opinion, the Theravada and Mahayana traditions may be "divergent, but equally reliable records of a pre-canonical Buddhism which is now lost forever." The Mahayana tradition may have preserved a very old, "pre-Canonical" tradition, which was largely, but not completely, left out of the Theravada-canon. The Buddhist teachings on the Buddha-nature may be regarded as a form of nondualism. Buddha-nature is the essential element that allows sentient beings to become Buddhas. The term, Buddha nature, is a translation of the Sanskrit coinage, 'Buddha-dhātu', which seems first to have appeared in the Mahayana Mahaparinirvana Sutra, where it refers to 'a sacred nature that is the basis for [beings'] becoming buddhas.' The term seems to have been used most frequently to translate the Sanskrit "Tathāgatagarbha". The Sanskrit term "tathāgatagarbha" may be parsed into tathāgata ("the one thus gone", referring to the Buddha) and garbha ("womb"). [note 11] The tathagatagarbha, when freed from avidya ("ignorance"), is the dharmakaya, the Absolute. Chinese Buddhism evolved over time. Before 400 CE, states Lai, the Chinese understood the Buddhist doctrine to be that "karmic rebirth entailed the transmigration of soul". It was monk Mindu who understood that the Buddha taught a no soul doctrine, and he tried to explain this to his Buddhist sangha, but was vilified for denying the existence of soul. Mindu's ideas, however, began a momentum that led to the emergence of six prajna schools in the 4th and 5th century CE. In the 6th century CE it became clear that anatman and sunyata are central Buddhist teachings, which make the postulation of an eternal self problematic. Another point of confusion was the Two truths doctrine of Madhyamaka, the mundane truth and the highest truth. Chinese thinking took this to refer to two ontological truths: reality exists at two levels, the mundane level of samsara and the highest level of nirvana emptiness. But in Madhyamaka these are two epistemological truths, two different ways to look at reality. The early Chinese scholars supposed that there is an essential truth above the two truths, which unites both these. This three truths doctrine was different from a similarly named doctrine of Yogacara and Indian Buddhism. The Buddha-nature and Yogacara philosophies have had a strong influence on Chán and Zen. The teachings of Zen are expressed by a set of polarities: Buddha-nature – sunyata; absolute-relative; sudden and gradual enlightenment. The Lankavatara-sutra, a popular sutra in Zen, endorses the Buddha-nature and emphasizes purity of mind, which can be attained in gradations. The Diamond-sutra, another popular sutra, emphasizes sunyata, which "must be realized totally or not at all". The Prajnaparamita Sutras emphasize the non-duality of form and emptiness: form is emptiness, emptiness is form, as the Heart Sutra says. According to Chinul, Zen points not to mere emptiness, but to suchness or the dharmadhatu. The idea that the ultimate reality is present in the daily world of relative reality fitted into the Chinese culture which emphasized the mundane world and society. But this does not explain how the absolute is present in the relative world. This question is answered in such schemata as the Five Ranks of Tozan and the Oxherding Pictures. The continuous pondering of the break-through kōan (shokan) or Hua Tou, "word head", leads to kensho, an initial insight into "seeing the (Buddha-)nature. According to Hori, a central theme of many koans is the "identity of opposites", and point to the original nonduality. Victor Sogen Hori describes kensho, when attained through koan-study, as the absence of subject–object duality. The aim of the so-called break-through koan is to see the "nonduality of subject and object",  in which "subject and object are no longer separate and distinct." Zen Buddhist training does not end with kenshō. Practice is to be continued to deepen the insight and to express it in daily life, to fully manifest the nonduality of absolute and relative. To deepen the initial insight of kensho, shikantaza and kōan-study are necessary. This trajectory of initial insight followed by a gradual deepening and ripening is expressed by Linji Yixuan in his Three Mysterious Gates, the Four Ways of Knowing of Hakuin, the Five Ranks, and the Ten Ox-Herding Pictures which detail the steps on the Path. The polarity of absolute and relative is also expressed as "essence-function". The absolute is essence, the relative is function. They can't be seen as separate realities, but interpenetrate each other. The distinction does not "exclude any other frameworks such as neng-so or 'subject-object' constructions", though the two "are completely different from each other in terms of their way of thinking". In Korean Buddhism, essence-function is also expressed as "body" and "the body's functions". A metaphor for essence-function is "a lamp and its light", a phrase from the Platform Sutra, where Essence is lamp and Function is light. Rather than attempting to see through or transcend the world, the practitioner comes to recognize "that" (the world) as "I" (the supreme egoity of the godhead): in other words, s/he gains a "god's eye view" of the universe, and recognizes it to be nothing other than herself/himself. For East Asian Buddhist Tantra in particular, this means that the totality of the cosmos is a "realm of Dharma", sharing an underlying common principle. Ramakrishna too was a tantric adherent, although his tantric background was overlaid and smoothed with an Advaita interpretation by his student Vivekananda. In Tibetan Buddhism, the essentialist position is represented by shentong, while the nominalist, or non-essentialist position, is represented by rangtong. Shentong is a philosophical sub-school found in Tibetan Buddhism. Its adherents generally hold that the nature of mind, the substratum of the mindstream, is "empty" (Wylie: stong ) of "other" (Wylie: gzhan ), i.e., empty of all qualities other than an inherently existing, ineffable nature. Shentong has often been incorrectly associated with the Cittamātra (Yogacara) position, but is in fact also Madhyamaka, and is present primarily as the main philosophical theory of the Jonang school, although it is also taught by the Sakya and Kagyu schools. According to Shentongpa (proponents of shentong), the emptiness of ultimate reality should not be characterized in the same way as the emptiness of apparent phenomena because it is prabhāśvara-saṃtāna, or "luminous mindstream" endowed with limitless Buddha qualities. It is empty of all that is false, not empty of the limitless Buddha qualities that are its innate nature. The contrasting rangtong view, of the followers of Prasaṅgika Mādhyamaka, is that all phenomena are sunyata, empty of self-nature, and that this "emptiness" is itself only a qualification, not a concretely existing "absolute" reality. This position is associated with the Madhyamaka school, which dominates both Mahayana and Vajrayana Buddhism. Dzogchen is concerned with the "natural state" and emphasizes direct experience. The state of nondual awareness is called rigpa. This primordial nature is clear light, unproduced and unchanging, free from all defilements. Through meditation, the Dzogchen practitioner experiences that thoughts have no substance. Mental phenomena arise and fall in the mind, but fundamentally they are empty. The practitioner then considers where the mind itself resides. Through careful examination one realizes that the mind is emptiness. With respect to its having a name, the various names that are applied to it are inconceivable (in their numbers). Several schools of Vedanta teach a form of nondualism. The best-known is Advaita Vedanta, but other nondual Vedanta schools also have a significant influence and following, such as Vishishtadvaita Vedanta and Shuddhadvaita, both of which are bhedabheda. The nonduality of the Advaita Vedantins is of the identity of Brahman and the Atman. Advaita has become a broad current in Indian culture and religions, influencing subsequent traditions like Kashmir Shaivism. The oldest surviving manuscripts on Advaita Vedanta is by Gauḍapāda (6th century CE), who has traditionally been regarded as the teacher of Govinda bhagavatpāda and the grandteacher of Shankara. Advaita is best known from the Advaita Vedanta tradition of Adi Shankara, who states that Brahman is pure Being, Consciousness and Bliss (Sat-cit-ananda). Pāramārthika (paramartha, absolute), the Reality that is metaphysically true and ontologically accurate. It is the state of experiencing that "which is absolutely real and into which both other reality levels can be resolved". This experience can't be sublated (exceeded) by any other experience. Vyāvahārika (vyavahara), or samvriti-saya, consisting of the empirical or pragmatic reality. It is ever-changing over time, thus empirically true at a given time and context but not metaphysically true. It is "our world of experience, the phenomenal world that we handle every day when we are awake". It is the level in which both jiva (living creatures or individual souls) and Iswara are true; here, the material world is also true. Prāthibhāsika (pratibhasika, apparent reality, unreality), "reality based on imagination alone". It is the level of experience in which the mind constructs its own reality. A well-known example is the perception of a rope in the dark as being a snake. In any event a close relationship between the Mahayana schools and Vedanta did exist, with the latter borrowing some of the dialectical techniques, if not the specific doctrines, of the former. Advaita Vedanta is related to Madhyamaka via Gaudapda, who took over the Buddhist doctrine that ultimate reality is pure consciousness (vijñapti-mātra). Shankara harmonised Gaudapada's ideas with the Upanishadic texts, and provided an orthodox hermeneutical basis for heterodox Buddhist phenomology. Michael Comans states there is a fundamental difference between Buddhist thought and that of Gaudapada, in that Buddhism has as its philosophical basis the doctrine of Dependent Origination according to which "everything is without an essential nature (nissvabhava), and everything is empty of essential nature (svabhava-sunya)", while Gaudapada does not rely on this principle at all. Gaudapada's Ajativada is an outcome of reasoning applied to an unchanging nondual reality according to which "there exists a Reality (sat) that is unborn (aja)" that has essential nature (svabhava), and this is the "eternal, fearless, undecaying Self (Atman) and Brahman". Thus, Gaudapada differs from Buddhist scholars such as Nagarjuna, states Comans, by accepting the premises and relying on the fundamental teaching of the Upanishads. Among other things, Vedanta school of Hinduism holds the premise, "Atman exists, as self evident truth", a concept it uses in its theory of nondualism. Buddhism, in contrast, holds the premise, "Atman does not exist (or, An-atman) as self evident". Mahadevan suggests that Gaudapada adopted Buddhist terminology and adapted its doctrines to his Vedantic goals, much like early Buddhism adopted Upanishadic terminology and adapted its doctrines to Buddhist goals; both used pre-existing concepts and ideas to convey new meanings. Dasgupta and Mohanta note that Buddhism and Shankara's Advaita Vedanta are not opposing systems, but "different phases of development of the same non-dualistic metaphysics from the Upanishadic period to the time of Sankara." 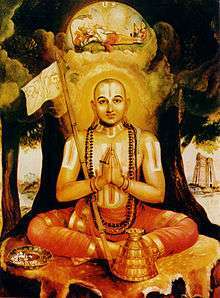 Ramanuja, founder of Vishishtadvaita Vedanta, taught 'qualified nondualism' doctrine. Vishishtadvaita Vedanta is another main school of Vedanta and teaches the nonduality of the qualified whole, in which Brahman alone exists, but is characterized by multiplicity. It can be described as "qualified monism," or "qualified non-dualism," or "attributive monism." According to this school, the world is real, yet underlying all the differences is an all-embracing unity, of which all "things" are an "attribute." Ramanuja, the main proponent of Vishishtadvaita philosophy contends that the Prasthana Traya ("The three courses") – namely the Upanishads, the Bhagavad Gita, and the Brahma Sutras – are to be interpreted in a way that shows this unity in diversity, for any other way would violate their consistency. Vedanta Desika defines Vishishtadvaita using the statement: Asesha Chit-Achit Prakaaram Brahmaikameva Tatvam – "Brahman, as qualified by the sentient and insentient modes (or attributes), is the only reality." Neo-Vedanta, also called "neo-Hinduism" is a modern interpretation of Hinduism which developed in response to western colonialism and orientalism, and aims to present Hinduism as a "homogenized ideal of Hinduism" with Advaita Vedanta as its central doctrine. When I think of the Supreme Being as inactive – neither creating nor preserving nor destroying – I call Him Brahman or Purusha, the Impersonal God. When I think of Him as active – creating, preserving and destroying – I call Him Sakti or Maya or Prakriti, the Personal God. But the distinction between them does not mean a difference. The Personal and Impersonal are the same thing, like milk and its whiteness, the diamond and its lustre, the snake and its wriggling motion. 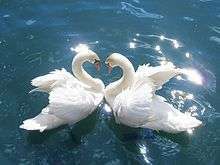 It is impossible to conceive of the one without the other. The Divine Mother and Brahman are one. The Neo-Vedanta is also Advaitic inasmuch as it holds that Brahman, the Ultimate Reality, is one without a second, ekamevadvitiyam. But as distinguished from the traditional Advaita of Sankara, it is a synthetic Vedanta which reconciles Dvaita or dualism and Advaita or non-dualism and also other theories of reality. In this sense it may also be called concrete monism in so far as it holds that Brahman is both qualified, saguna, and qualityless, nirguna. All opposites like being and non-being, life and death, good and evil, light and darkness, gods and men, soul and nature are viewed as manifestations of the Absolute which is immanent in the universe and yet transcends it. Advaita is also a central concept in various schools of Shaivism, such as Kashmir Shaivism and  and Shiva Advaita. Kashmir Shaivism is a school of Śaivism, described by Abhinavagupta[note 19] as "paradvaita", meaning "the supreme and absolute non-dualism". [web 8] It is categorized by various scholars as monistic idealism (absolute idealism, theistic monism, realistic idealism, transcendental physicalism or concrete monism). Kashmir Saivism is based on a strong monistic interpretation of the Bhairava Tantras and its subcategory the Kaula Tantras, which were tantras written by the Kapalikas. There was additionally a revelation of the Siva Sutras to Vasugupta. Kashmir Saivism claimed to supersede the dualistic Shaiva Siddhanta. Somananda, the first theologian of monistic Saivism, was the teacher of Utpaladeva, who was the grand-teacher of Abhinavagupta, who in turn was the teacher of Ksemaraja. The philosophy of Kashmir Shaivism can be seen in contrast to Shankara's Advaita. Advaita Vedanta holds that Brahman is inactive (niṣkriya) and the phenomenal world is an illusion (māyā). In Kashmir Shavisim, all things are a manifestation of the Universal Consciousness, Chit or Brahman. Kashmir Shavisim sees the phenomenal world (Śakti) as real: it exists, and has its being in Consciousness (Chit). Kashmir Shaivism was influenced by, and took over doctrines from, several orthodox and heterodox Indian religious and philosophical traditions. These include Vedanta, Samkhya, Patanjali Yoga and Nyayas, and various Buddhist schools, including Yogacara and Madhyamika, but also Tantra and the Nath-tradition. Advaita is also part of other Indian traditions, which are less strongly, or not all, organised in monastic and institutional organisations. Although often called "Advaita Vedanta," these traditions have their origins in vernacular movements and "householder" traditions, and have close ties to the Nath, Nayanars and Sant Mat traditions. D. Does Sri Bhagavan advocate advaita? M. Dvaita and advaita are relative terms. They are based on the sense of duality. The Self is as it is. There is neither dvaita nor advaita. "I Am that I Am"[note 20] Simple Being is the Self. The Natha Sampradaya, with Nath yogis such as Gorakhnath, introduced Sahaja, the concept of a spontaneous spirituality. Sahaja means "spontaneous, natural, simple, or easy". [web 12] According to Ken Wilber, this state reflects nonduality. This nondual consciousness is seen as a common stratum and of the same essence in different spiritual traditions. According to Renard, these are based on an experience or intuition of "the Real". Personal religious or mystical experience, especially "enlightenment" or the realization of the illusory nature of the autonomous "I" or self, is a key element in modern western nondual thought. It is the personal realization that ultimate reality is nondual, and is thought to be a validating means of knowledge of this nondual reality. The notion of "religious experience" can be traced back to William James, who used the term "religious experience" in his book, The Varieties of Religious Experience. The origins of the use of this term can be dated further back. In the 18th, 19th, and 20th centuries, several historical figures put forth very influential views that religion and its beliefs can be grounded in experience itself. While Kant held that moral experience justified religious beliefs, John Wesley in addition to stressing individual moral exertion thought that the religious experiences in the Methodist movement (paralleling the Romantic Movement) were foundational to religious commitment as a way of life. Such religious empiricism would be later seen as highly problematic and was – during the period in-between world wars – famously rejected by Karl Barth. In the 20th century, religious as well as moral experience as justification for religious beliefs still holds sway. Some influential modern scholars holding this liberal theological view are Charles Raven and the Oxford physicist/theologian Charles Coulson. Development of the modern understanding of "nondualism"
The idea of nonduality as "the central essence" is a universalistic and perennialist idea, which is part of a modern mutual exchange and synthesis of ideas between western spiritual and esoteric traditions and Asian religious revival and reform movements. [note 24] Western predecessors are, among others, Swedenborgianism, Unitarianism, Orientalism, Transcendentalism, Theosophy, the idea of a Perennial Philosophy, New Age, and Wilber's synthesis of western psychology and Asian spirituality. The western world has been exposed to Indian religions since the late 18th century. The first western translation of a Sanskrit text was made in 1785. It marked a growing interest in Indian culture and languages. The first translation of the dualism and nondualism discussing Upanishads appeared in two parts in 1801 and 1802 and influenced Arthur Schopenhauer, who called them "the consolation of my life". Early translations also appeared in other European languages. Among the transcendentalists' core beliefs was the inherent goodness of both people and nature. Transcendentalists believed that society and its institutions—particularly organized religion and political parties—ultimately corrupted the purity of the individual. They had faith that people are at their best when truly "self-reliant" and independent. It is only from such real individuals that true community could be formed. The major figures in the movement were Ralph Waldo Emerson, Henry David Thoreau, John Muir, Margaret Fuller and Amos Bronson Alcott. The Perennial Philosophy sees nondualism as the essence of all religions. Its main proponent was Aldous Huxley, who was influenced by Vivekanda's Neo-Vedanta and Universalism. According to the Perennial Philosophy, there is an ultimate reality underlying the various religions. This ultimate reality can be called "Spirit" (Sri Aurobindo), "Brahman" (Shankara), "God", "Shunyata" (Emptiness), "The One" (Plotinus), "The Self" (Ramana Maharshi), "The Dao" (Lao Zi), "The Absolute" (Schelling) or simply "The Nondual" (F. H. Bradley). Ram Dass calls it the "third plane" – any phrase will be insufficient, he maintains, so any phrase will do. [N]o unmediated experience is possible, and that in the extreme, language is not simply used to interpret experience but in fact constitutes experience. The New Age aims to create "a spirituality without borders or confining dogmas" that is inclusive and pluralistic. It holds to "a holistic worldview", emphasising that the Mind, Body and Spirit are interrelated and that there is a form of monism and unity throughout the universe. [web 18] It attempts to create "a worldview that includes both science and spirituality" and embraces a number of forms of mainstream science as well as other forms of science that are considered fringe. 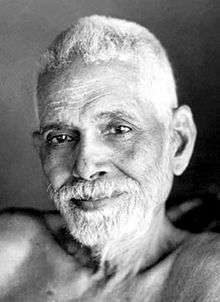 Neo-Advaita is a New Religious Movement based on a modern, western interpretation of Advaita Vedanta, especially the teachings of Ramana Maharshi. According to Arthur Versluis, neo-Advaita is part of a larger religious current which he calls immediatism,[web 19] "the assertion of immediate spiritual illumination without much if any preparatory practice within a particular religious tradition. "[web 19] Neo-Advaita is criticized for this immediatism and its lack of preparatory practices. [note 29][note 30] Notable neo-advaita teachers are H. W. L. Poonja and his students Gangaji, Andrew Cohen,[note 31], and Eckhart Tolle. Apart from Hinduism and Buddhism, self-proclaimed nondualists have also discerned nondulaism in other religious traditions. Sikh theology suggests human souls and the monotheistic God are two different realities (dualism), distinguishing it from the monistic and various shades of nondualistic philosophies of other Indian religions. However, Sikh scholars have attempted to explore nondualism exegesis of Sikh scriptures, such as during the neocolonial reformist movement by Bhai Vir Singh of the Singh Sabha. According to Mandair, Singh interprets the Sikh scriptures as teaching nonduality. Taoism's wu wei (Chinese wu, not; wei, doing) is a term with various translations[note 33] and interpretations designed to distinguish it from passivity. The concept of Yin and Yang, often mistakenly conceived of as a symbol of dualism, is actually meant to convey the notion that all apparent opposites are complementary parts of a non-dual whole. Judaism has within it a strong and very ancient mystical tradition that is deeply nondualistic. "Ein Sof" or infinite nothingness is considered the ground face of all that is. God is considered beyond all proposition or preconception. The physical world is seen as emanating from the nothingness as the many faces "partsufim" of god that are all a part of the sacred nothingness. The Cloud of Unknowing – an anonymous work of Christian mysticism written in Middle English in the latter half of the 14th century – advocates a mystic relationship with God. The text describes a spiritual union with God through the heart. The author of the text advocates centering prayer, a form of inner silence. According to the text God can not be known through knowledge or from intellection. It is only by emptying the mind of all created images and thoughts that we can arrive to experience God. According to the text God is completely unknowable by the mind. God is not known through the intellect but through intense contemplation, motivated by love, and stripped of all thought. Christian Science has been described as nondual. In a glossary of terms written by the founder, Mary Baker Eddy, matter is defined as illusion, and when defining 'I, or Ego' as the divine in relationship with individual identity, she writes "There is but one I, or Us, but one divine Principle, or Mind, governing all existence" – continuing – ". . .whatever reflects not this one Mind, is false and erroneous, even the belief that life, substance, and intelligence are both mental and material." According to the teachings of The Infinite Way, God is a non-dual experience. Joel Goldsmith wrote that thought and ideas in the mind take people away from the realization of God. To experience God, he recommended meditation and for the subject to tune into the present moment so duality of the subject disappears. The former nun and contemplative Bernadette Roberts is considered a nondualist by Jerry Katz. Thomism, though not non-dual in the ordinary sense, considers the unity of God so absolute that even the duality of subject and predicate, to describe him, can be true only by analogy. In Thomist thought, even the Tetragrammaton is only an approximate name, since "I am" involves a predicate whose own essence is its subject. Since its beginning, Gnosticism has been characterized by many dualisms and dualities, including the doctrine of a separate God and Manichaean (good/evil) dualism. Ronald Miller interprets the Gospel of Thomas as a teaching of "nondualistic consciousness". The precepts of Neoplatonism of Plotinus (2nd century) assert nondualism, Some scholars suggest a possible link of more ancient Indian philosophies on Neoplatonism, while other scholars consider these claims as unjustified and extravagant with the counter hypothesis that nondualism developed independently in ancient India and Greece. The nondualism of Advaita Vedanta and Neoplatonism have been compared by various scholars, such as J. F. Staal, Frederick Copleston, Aldo Magris and Mario Piantelli, Sarvepalli Radhakrishnan, Gwen Griffith-Dickson, John Y. Fenton and Dale Riepe. Process philosophy, and especially Alfred North Whitehead's blend, has sought to develop a worldview that avoids ontological dualism but still provides a distinction between body, mind and soul. Insight is not the "experience" of some transcendental reality, but is a cognitive event, the (intuitive) understanding or "grasping" of some specific understanding of reality, as in kensho or anubhava. "Pure experience" does not exist; all experience is mediated by intellectual and cognitive activity. A pure consciousness without concepts, reached by "cleaning the doors of perception",[note 35] would be an overwhelming chaos of sensory input without coherence. Nirvanic experiences – Buddhism, "according to which one sees that the self is but a bundle of fleeting states"
Kevala experiences – Jainism, "according to which one sees the self as an indestructible subject of experience"
Moksha experiences – Hinduism, Brahman "either as a cosmic person, or, quite differently, as qualityless"
The specific teachings and practices of a specific tradition may determine what "experience" someone has, which means that this "experience" is not the proof of the teaching, but a result of the teaching. The notion of what exactly constitutes "liberating insight" varies between the various traditions, and even within the traditions. Bronkhorst for example notices that the conception of what exactly "liberating insight" is in Buddhism was developed over time. Whereas originally it may not have been specified, later on the Four Truths served as such, to be superseded by pratityasamutpada, and still later, in the Hinayana schools, by the doctrine of the non-existence of a substantial self or person. And Schmithausen notices that still other descriptions of this "liberating insight" exist in the Buddhist canon. ↑ See also Nonduality.com, FAQ and Nonduality.com, What is Nonduality, Nondualism, or Advaita? Over 100 definitions, descriptions, and discussions. ↑ Edward Roer translates the early medieval era Brihadaranyakopnisad-bhasya as, "(...) Lokayatikas and Bauddhas who assert that the soul does not exist. There are four sects among the followers of Buddha: 1. Madhyamicas who maintain all is void; 2. Yogacharas, who assert except sensation and intelligence all else is void; 3. Sautranticas, who affirm actual existence of external objects no less than of internal sensations; 4. Vaibhashikas, who agree with later (Sautranticas) except that they contend for immediate apprehension of exterior objects through images or forms represented to the intellect." ↑ Kalupahana: "Two aspects of the Buddha's teachings, the philosophical and the practical, which are mutually dependent, are clearly enunciated in two discourses, the Kaccaayanagotta-sutta and the Dhammacakkappavattana-sutta, both of which are held in high esteem by almost all schools of Buddhism in spite of their sectarian rivalries. The Kaccaayanagotta-sutta, quoted by almost all the major schools of Buddhism, deals with the philosophical "middle path", placed against the backdrop of two absolutistic theories in Indian philosophy, namely, permanent existence (atthitaa) propounded in the early Upanishads and nihilistic non-existence (natthitaa) suggested by the Materialists." ...when you realize that the nature of your mind and the [U]niverse are nondual, you are enlightened. ↑ The term "garbha" has multiple denotations. A denotation of note is the garba of the Gujarati: where a spiritual circle dance is performed around a light or candle placed at the centre, bindu. This dance informs the Tathāgatagarbha Doctrine. Interestingly, the Dzogchenpa tertön Namkai Norbu teaches a similar dance upon a mandala, the Dance of the Six Lokas as terma, where a candle or light is similarly placed. ↑ This text is part of a collection of teachings entitled "Profound Dharma of Self-Liberation through the Intention of the Peaceful and Wrathful Ones" (zab-chos zhi khro dgongs pa rang grol, also known as kar-gling zhi-khro), which includes the two texts of bar-do thos-grol, the so-called "Tibetan Book of the Dead". The bar-do thos-grol was translated by Kazi Dawa Samdup (1868–1922), and edited and published by W.Y. Evans-Wenz. This translation became widely known and popular as "the Tibetan Book of the Dead", but contains many misatkes in translation and interpretation. ↑ "A" means "not", or "non"; "jāti" means "creation" or "origination; "vāda" means "doctrine"
↑ The influence of Mahayana Buddhism on other religions and philosophies was not limited to Advaita Vedanta. Kalupahana notes that the Visuddhimagga contains "some metaphysical speculations, such as those of the Sarvastivadins, the Sautrantikas, and even the Yogacarins". ↑ Neo-Vedanta seems to be closer to Bhedabheda-Vedanta than to Shankara's Advaita Vedanta, with the acknowledgement of the reality of the world. Nicholas F. Gier: "Ramakrsna, Svami Vivekananda, and Aurobindo (I also include M.K. Gandhi) have been labeled "neo-Vedantists," a philosophy that rejects the Advaitins' claim that the world is illusory. Aurobindo, in his The Life Divine, declares that he has moved from Sankara's "universal illusionism" to his own "universal realism" (2005: 432), defined as metaphysical realism in the European philosophical sense of the term." ↑ A Christian reference. See [web 10] and [web 11] Ramana was taught at Christian schools. ↑ In Dutch: "Niet in een denkbeeld te vatten". ↑ According to Renard, Alan Watts has explained the difference between "non-dualism" and "monism" in The Supreme Identity, Faber and Faber 1950, p.69 and 95; The Way of Zen, Pelican-edition 1976, p.59-60. ↑ James also gives descriptions of conversion experiences. The Christian model of dramatic conversions, based on the role-model of Paul's conversion, may also have served as a model for Western interpretations and expectations regarding "enlightenment", similar to Protestant influences on Theravada Buddhism, as described by Carrithers: "It rests upon the notion of the primacy of religious experiences, preferably spectacular ones, as the origin and legitimation of religious action. But this presupposition has a natural home, not in Buddhism, but in Christian and especially Protestant Christian movements which prescribe a radical conversion." See Sekida for an example of this influence of William James and Christian conversion stories, mentioning Luther and St. Paul. See also McMahan for the influence of Christian thought on Buddhism. ↑ See McMahan, "The making of Buddhist modernity" and Richard E. King, "Orientalism and Religion" for descriptions of this mutual exchange. ↑ The awareness of historical precedents seems to be lacking in nonduality-adherents, just as the subjective perception of parallels between a wide variety of religious traditions lacks a rigorous philosophical or theoretical underpinning. ↑ The Theosophical Society had a major influence on Buddhist modernism and Hindu reform movements, and the spread of those modernised versions in the west. The Theosophical Society and the Arya Samaj were united from 1878 to 1882, as the Theosophical Society of the Arya Samaj. Along with H. S. Olcott and Anagarika Dharmapala, Blavatsky was instrumental in the Western transmission and revival of Theravada Buddhism. ↑ According to Gloria and Kenneth Wapnick, A Course in Miracles is an expression of nondualism that is independent of any religious denomination. ↑ Alan Jacobs: "Many firm devotees of Sri Ramana Maharshi now rightly term this western phenomenon as 'Neo-Advaita'. The term is carefully selected because 'neo' means 'a new or revived form'. And this new form is not the Classical Advaita which we understand to have been taught by both of the Great Self Realised Sages, Adi Shankara and Ramana Maharshi. It can even be termed 'pseudo' because, by presenting the teaching in a highly attenuated form, it might be described as purporting to be Advaita, but not in effect actually being so, in the fullest sense of the word. In this watering down of the essential truths in a palatable style made acceptable and attractive to the contemporary western mind, their teaching is misleading." ↑ Robert Sharf: "[T]he role of experience in the history of Buddhism has been greatly exaggerated in contemporary scholarship. Both historical and ethnographic evidence suggests that the privileging of experience may well be traced to certain twentieth-century reform movements, notably those that urge a return to zazen or vipassana meditation, and these reforms were profoundly influenced by religious developments in the west [...] While some adepts may indeed experience "altered states" in the course of their training, critical analysis shows that such states do not constitute the reference point for the elaborate Buddhist discourse pertaining to the "path". ↑ John A. Grimes (1996). A Concise Dictionary of Indian Philosophy: Sanskrit Terms Defined in English. State University of New York Press. p. 15. ISBN 978-0-7914-3067-5. 1 2 3 4 Katz 2007. 1 2 3 Garfield 1995, p. 296, 298. 1 2 3 4 5 6 7 8 9 Espín & Nickoloff 2007, p. 14. 1 2 3 4 5 6 Raju 1992, p. 177. 1 2 3 Dasgupta & Mohanta 1998, p. 362. ↑ Loy 1988, p. 9-11. 1 2 3 Renard 2010. ↑ Espín & Nickoloff 2007, p. 963. ↑ Stephen C. Barton (2006). The Cambridge Companion to the Gospels. Cambridge University Press. p. 195. ISBN 978-1-107-49455-8. ↑ Paul F. Knitter (2013). Without Buddha I Could not be a Christian. Oneworld. pp. 7–8. ISBN 978-1-78074-248-9. ↑ Gombrich 1990, p. 12-20. 1 2 3 4 Murti 2008, p. 217. 1 2 Leesa S. Davis (2010). Advaita Vedanta and Zen Buddhism: Deconstructive Modes of Spiritual Inquiry. A&C Black. pp. 5–7. ISBN 978-0-8264-2068-8. ↑ Kalupahana 2006, p. 1. ↑ Robert E. Buswell Jr.; Donald S. Lopez Jr. (2013). The Princeton Dictionary of Buddhism. Princeton University Press. pp. 42–43, 581. ISBN 978-1-4008-4805-8. ↑ Richard Gombrich (2006). Theravada Buddhism. Routledge. p. 47. ISBN 978-1-134-90352-8. , Quote: "All phenomenal existence [in Buddhism] is said to have three interlocking characteristics: impermanence, suffering and lack of soul or essence." ↑ Phra Payutto; Grant Olson (1995). Buddhadhamma: Natural Laws and Values for Life. State University of New York Press. pp. 62–63. ISBN 978-0-7914-2631-9. 1 2 Whalen Lai (1979). "Nonduality of the Two Truths in Sinitic Madhyamika: Origin of the Third Truth". The Journal of the International Association of Buddhist Studies. 2 (2): 45–46. 1 2 Lai 2003, pp. 10–11. 1 2 3 4 Lai 2003, p. 11. 1 2 3 King 1995, p. 156. 1 2 3 4 Yuichi Kajiyama (1991). Minoru Kiyota and Elvin W. Jones, ed. Mahāyāna Buddhist Meditation: Theory and Practice. Motilal Banarsidass. pp. 120–122, 137–139. ISBN 978-81-208-0760-0. ↑ Paul Williams (2008). Mahayana Buddhism: The Doctrinal Foundations. Routledge. pp. 82–83, 90–96. ISBN 978-1-134-25057-8. 1 2 3 4 5 Kochumuttom 1999, p. 5. ↑ Peter Harvey, Consciousness Mysticism in the Discourses of the Buddha. In Karel Werner, ed., The Yogi and the Mystic. Curzon Press 1989, pages 96-97. ↑ Raju 1992, pp. 504-515. [c] Richard Davis (2014), Ritual in an Oscillating Universe: Worshipping Siva in Medieval India, Princeton University Press, ISBN 978-0-691-60308-7, page 167 note 21, Quote (page 13): "Some agamas argue a monist metaphysics, while others are decidedly dualist." ↑ Comans, Michael (2000). "The Method of Early Advaita Vedānta: A Study of Gauḍapāda, Śaṅkara, Sureśvara, and Padmapāda". Motilal Banarsidass: 183–184. ↑ Stoker, Valerie (2011). "Madhva (1238–1317)". Internet Encyclopedia of Philosophy. Retrieved 2 February 2016. ↑ Murti 2008, pp. 217–218. ↑ Potter 2008, p. 6–7. [b] Richard King (1995), Early Advaita Vedanta and Buddhism, State University of New York Press, ISBN 978-0-7914-2513-8, page 64, Quote: "Atman as the innermost essence or soul of man, and Brahman as the innermost essence and support of the universe. (...) Thus we can see in the Upanishads, a tendency towards a convergence of microcosm and macrocosm, culminating in the equating of atman with Brahman". [c] Chad Meister (2010), The Oxford Handbook of Religious Diversity, Oxford University Press, ISBN 978-0-19-534013-6, page 63; Quote: "Even though Buddhism explicitly rejected the Hindu ideas of Atman (soul) and Brahman, Hinduism treats Sakyamuni Buddha as one of the ten avatars of Vishnu." ↑ Deussen, Paul and Geden, A. S. The Philosophy of the Upanishads. Cosimo Classics (1 June 2010). P. 86. ISBN 1-61640-240-7. ↑ Renard 2010, p. 88. ↑ Sarma 1996, p. xi-xii. 1 2 Renard 2010, p. 89. ↑ Sarma 1996, p. xii. 1 2 Sarma 1996, p. xi. ↑ Renard 2010, p. 91-92. 1 2 Renard 2010, p. 92. ↑ Renard 2010, p. 93. ↑ Renard 2010, p. 96. 1 2 Renard 2010, p. 97. ↑ Renard 2010, p. 98. ↑ Mansukhani 1993, p. 63. 1 2 Renard 2010, p. 98-99. ↑ Loy 1988, p. 9–11. ↑ Loy 1988, p. 3. ↑ Pritscher 2001, p. 16. ↑ George Adolphus Jacob (1999). A concordance to the principal Upanisads and Bhagavadgita. Motilal Banarsidass. p. 33. ISBN 978-81-208-1281-9. ↑ R.W. Perrett (2012). Indian Philosophy of Religion. Springer Science. p. 124. ISBN 978-94-009-2458-1. ↑ S Menon (2011), Advaita Vedanta, IEP, Quote:"The essential philosophy of Advaita is an idealist monism, and is considered to be presented first in the Upaniṣads and consolidated in the Brahma Sūtra by this tradition." ↑ James G. Lochtefeld (2002). The Illustrated Encyclopedia of Hinduism: N-Z. The Rosen Publishing Group. pp. 645–646. ISBN 978-0-8239-3180-4. ↑ S. Mark Heim (2001). The Depth of the Riches: A Trinitarian Theology of Religious Ends. Wm. B. Eerdmans Publishing. p. 227. ISBN 978-0-8028-4758-4. ↑ Nancy McCagney (1997). Nāgārjuna and the Philosophy of Openness. Rowman & Littlefield. pp. 40–41. ISBN 978-0-8476-8627-8. ↑ Williams 2000, p. 140. ↑ Cabezón 2005, p. 9387. ↑ Jones 2005, p. 9897. ↑ Zim, Robert (1995). Basic ideas of Yogācāra Buddhism. San Francisco State University. Source: (accessed: October 18, 2007). 1 2 3 Kochumuttom 1999, p. 1. ↑ Kochumuttom 1999, p. 1-2. ↑ Kalupahana 1992, p. 135. ↑ Kalupahana 1992, p. 126. ↑ Kalupahana 1992, p. 122. ↑ Kochumuttom 1999, p. 5-6. ↑ Kochumuttom 1999, p. 6. ↑ Akizuki 1990, p. 25-27. 1 2 Reat 1998, p. xi. 1 2 Conze 1967, p. 10. ↑ Williams, Paul. Buddhist Thought. Routledge 2000, page 160. 1 2 3 4 Lai 2003, p. 10. ↑ Lai 2003, pp. 10-11. 1 2 3 Whalen Lai (1979). "Nonduality of the Two Truths in Sinitic Madhyamika: Origin of the Third Truth". The Journal of the International Association of Buddhist Studies. 2 (2): 45–65. ↑ Garfield 2011, p. 76. ↑ Kasulis 2003, pp. 26–29. ↑ McRae 2003, pp. 138–142. 1 2 Liang-Chieh 1986, p. 9. ↑ McRae 2003, pp. 123–138. ↑ Kasulis 2003, pp. 26–28. ↑ Buswell 1991, p. 240-241. ↑ Kasulis 2003, p. 29. ↑ Hori 2005-B, p. 132. ↑ Ford 2006, p. 38. ↑ Hori 2000, p. 287. 1 2 Hori 2000, p. 289-290. 1 2 Hori 2000, p. 310 note 14. ↑ Hori 1994, p. 30-31. ↑ Hori 2000, p. 288-289. ↑ Kraft 1997, p. 91. ↑ Glassman 2007, p. 54, 140. ↑ Yen 1996, p. 54. ↑ Jiyu-Kennett 2005, p. 225. ↑ White 2000, p. 7. 1 2 White 2000, p. 8-9. ↑ White 2000, p. 9. ↑ White 2000, p. 10–11. ↑ Pema Tönyö Nyinje, 12th Tai Situpa. Ground, Path and Fruition. Zhyisil Chokyi Ghatsal Charitable Trust. p. 2005. ISBN 978-1-877294-35-8. ↑ Hookham, S.K. (1991). The Buddha Within: Tathagatagarbha Doctrine According to the Shentong Interpretation of the Ratnagotravibhaga. Albany, NY: State University of New York Press. p. 13. ISBN 978-0-7914-0358-7. ↑ Stearns, Cyrus (2010). The Buddha from Dölpo: A Study of the Life and Thought of the Tibetan Master Dölpopa Sherab Gyaltsen (Rev. and enl. ed.). Ithaca, NY: Snow Lion Publications. ISBN 978-1-55939-343-0. ↑ Powers, John (1995). Introduction to Tibetan Buddhism. Snow Lion Publications. pp. 334–342. ↑ norbu 1989, p. x. 1 2 Norbu 1989, p. x. ↑ Fremantle 2001, p. 20. ↑ Norbu 1989, p. ix. 1 2 Norbu 1989, p. xii. ↑ Reynolds 1989, p. 71–115. ↑ Karma Lingpa 1989, p. 13–14. ↑ Raju 1992, p. 178. 1 2 Puligandla 1997, p. 232. ↑ Renard 2010, p. 131. ↑ Isaeva 1992, p. 240. ↑ Sharma 2000, p. 64. ↑ JN Mohanty (1980), Understanding some Ontological Differences in Indian Philosophy, Journal of Indian Philosophy, Volume 8, Issue 3, page 205; Quote: "Nyaya-Vaiseshika is realistic; Advaita Vedanta is idealistic. The former is pluralistic, the latter monistic." ↑ Renard 2010, p. 157. ↑ Comans 2000, p. 35-36. 1 2 Sarma 1996, p. 127. ↑ Raju 1992, p. 177-178. 1 2 Comans 2000, p. 88–93. ↑ John C. Plott et al (2000), Global History of Philosophy: The Axial Age, Volume 1, Motilal Banarsidass, ISBN 978-8120801585, page 63, Quote: "The Buddhist schools reject any Ātman concept. As we have already observed, this is the basic and ineradicable distinction between Hinduism and Buddhism". ↑ King 2002, p. 93. ↑ Yelle 2012, p. 338. ↑ King 2002, p. 135. ↑ "Sri Ramakrisha The Great Master, by Swami Saradananda, (tr.) Swami Jagadananda, 5th ed., v.1, pp.558-561, Sri Ramakrishna Math, Madras.". 1 2 Sooklal 1993, p. 33. ↑ Sarma 1996, p. 1. 1 2 Sarma 1996, p. 1-2. 1 2 Muller-Ortega 2010, p. 25. ↑ Muller-Ortega 2010, p. 26. ↑ Ebert 2006, p. 18. ↑ Venkataramiah 2000, p. 328-329. ↑ Ken Wilber (2000). 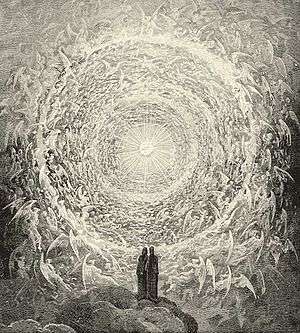 One Taste: Daily Reflections on Integral Spirituality. Shambhala Publications. pp. 294–295 with footnotes 33–34. ISBN 978-0-8348-2270-2. 1 2 3 4 Renard 2010, p. 59. ↑ Anderson 2009, p. xvi. ↑ Renard 2010, p. 59, p.285 note 17. ↑ Hori 1999, p. 47. ↑ Sharf 2000, p. 271. ↑ Carrithers 1983, p. 18. ↑ Sekida 1985, p. 196–197. ↑ Sekida 1985, p. 251. 1 2 3 4 5 McMahan 2008. ↑ Wolfe 2009, p. iii. 1 2 Renard 2010, p. 176. ↑ Renard 2010, p. 177. ↑ Renard 2010, pp. 177-184. ↑ Renard 2010, p. 178. ↑ Renard 2010, p. 183-184. ↑ Renard 2010, p. 185–188. 1 2 Gilchrist 1996, p. 32. ↑ Johnson 1994, p. 107. ↑ McMahan 2008, p. 98. ↑ Gombrich 1996, p. 185–188. ↑ Fields 1992, p. 83–118. ↑ Spilka e.a. 2003, p. 321–325. 1 2 3 Spilka e.a. 2003, p. 321. ↑ Drury 2004, p. 12. ↑ Drury 2004, p. 8. ↑ Drury 2004, p. 11. ↑ Drury 2004, p. 10. ↑ Gloria and Kenneth Wapnick, Ph.D. (2006). The Real World (DVD). Foundation for A Course in Miracles. Foundation for A Course in Miracles. ISBN 978-1-59142-168-9. 1 2 3 Lucas 2011. ↑ Marek 2008, p. 10, note 6. ↑ Marek 2008, p. 10 note 6. ↑ Jacobs & 204, p. 82. ↑ Jacobs 2004, p. 82. ↑ Caplan 2009, p. 16-17. ↑ Lucas 2011, p. 102-105. ↑ Gleig 2011, p. 10. ↑ Nirmal Kumar (2006). Sikh Philosophy and Religion: 11th Guru Nanak Memorial Lectures. Sterling Publishers. pp. 89–92. ISBN 978-1-932705-68-3. ↑ Arvind-pal Singh Mandair (2013). Religion and the Specter of the West: Sikhism, India, Postcoloniality, and the Politics of Translation. Columbia University Press. pp. 76, 430–432. ISBN 978-0-231-51980-9. ↑ Mandair, Arvind (2005). "The Politics of Nonduality: Reassessing the Work of Transcendence in Modern Sikh Theology". Journal of the American Academy of Religion. 74 (3): 646–673. doi:10.1093/jaarel/lfj002. ↑ Richard T. Wallis; Jay Bregman (1992). Neoplatonism and Gnosticism. State University of New York Press. pp. 33–44. ISBN 978-0-7914-1337-1. ↑ Lawrence Hatab; Albert Wolters (1982). R Baine Harris, ed. Neoplatonism and Indian Thought. SUNY Press. pp. 27–44, 293–308. ISBN 978-1-4384-0587-2. ↑ R Baine Harris (1982). Neoplatonism and Indian Thought. SUNY Press. ISBN 978-1-4384-0587-2. ↑ Frederick Charles Copleston. "Religion and the One 1979–1981". Giffordlectures.org. Retrieved 2010-01-08. ↑ "Creator (or not?)". Gresham.ac.uk. Retrieved 2010-01-08. ↑ See also the Process Psychology entry. ↑ Mohr 2000, p. 282-286. ↑ Low 2006, p. 12. ↑ Sharf 1995b, p. 1. ↑ Mohr 2000, p. 282. ↑ Samy 1998, p. 80-82. ↑ Mohr 2000, p. 284. ↑ Yandell 1994, p. 19–23. ↑ Yandell 1994, p. 23–31. ↑ Yandell 1994, p. 24–26. ↑ yandell 1994, p. 24–25, 26–27. ↑ Yandell 1994, p. 24–25. 1 2 Yandell 1994, p. 30. 1 2 3 4 Yandell 1994, p. 25. ↑ Yandell 1994, p. 29. ↑ Samy 1998, p. 80. ↑ Bronkhorst 1993, p. 100-101. ↑ Bronkhorst 1993, p. 101. Comans, Michael (1993), The Question of the Importance of Samadhi in Modern and Classical Advaita Vedanta. In: Philosophy East and West Vol. 43, No. 1 (Jan. 1993), pp. 19-38. Mansukhani, Gobind (1993). Introduction to Sikhism. New Delhi: Hemkunt Press. ISBN 9788170101819. Norbu, Namkhai (1989), "Foreword", in Reynolds, John Myrdin, Self-liberation through seeing with naked awareness, Station Hill Press, Inc.
Reynolds, John Myrdin (1989), "Appendix I: The views on Dzogchen of W.Y. Evans-Wentz and C.G. Jung", in Reynolds, John Myrdin, Self-liberation through seeing with naked awareness, Station Hill Press, Inc.
1 2 3 4 5 6 Elizabeth Reninger, Guide Review: David Loy’s "Nonduality: A Study In Comparative Philosophy"
↑ Sri Ramanasramam, "A lineage of Bhagavan Sri Ramana Maharshi?" 1 2 3 4 Jone John Lewis, What is Transcendentalism?" ↑ Review of Richard Rorty's "Philosophy and Social Hope"
↑ emptiness.co, Review of Kenneth J. Gergen's "An Invitation to Social Construction"
David Loy, Enlightenment in Buddhism and Advaita Vedanta: Are Nirvana and Moksha the Same?